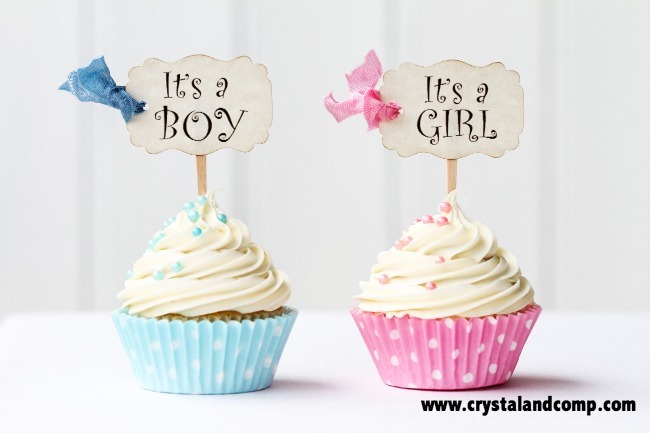 Are you hosting a baby shower? Decorations are favored elements because they build mood and party atmosphere. To start, choose a theme; you’ll be surprised with the decoration ideas you’ll imagine! Unless you’re hosting an extravagant shower, focus on a couple of areas to decorate. 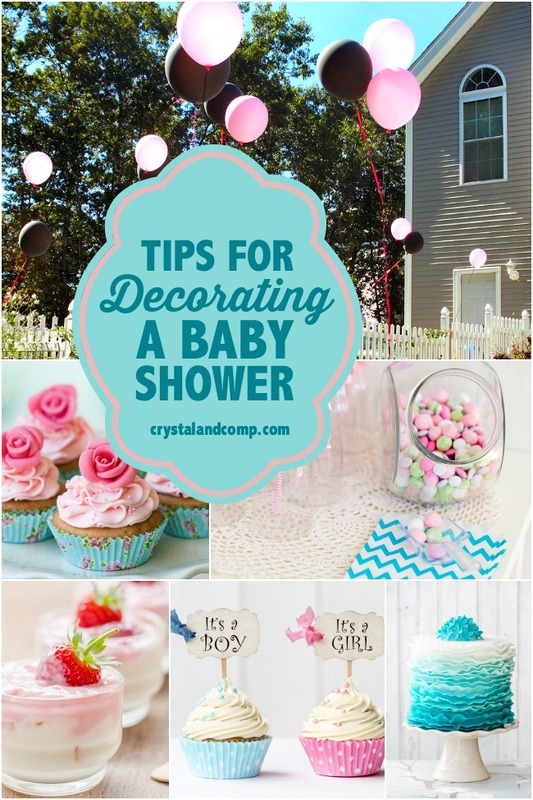 Here are a few tips to get you started decorating for a baby shower. A wreath, balloons, flowers or something theme related at the front door will draw guests into the party before you even say “hello”. Inside, establish the dessert table/food buffet as the main feature. Enhance party atmosphere with decorations on several levels; use the ceiling, tabletop and even floor level for displays. Garland and banners can be strung with great effect. Cardstock, tissue paper, ribbons, vintage handkerchiefs, comic book pages, fabric strips, and just about anything that can be hung in multiples will work to front/hang over the table and even extend into the room. Coordinate colors for a cohesive look. Use food as décor. For example, Hot Air Balloon is the theme, and popcorn’s on the menu: use guest-sized containers (decorative paper bags, cups or cones, etc.) and call it Popcorn Clouds; top cupcakes and desserts with paper medallions. Even water bottles dress for the party with a colorful straw and decorative sleeve over the manufacture’s label. Hot Air Balloon: Old maps, balloons tied to baskets with ribbon, clouds (paper, fabric, pictures), and lots of sky blue are basics with this theme. Tea Party: Flowers and lace, pretty teacups, cloth napkins and lovely colors work for a baby girl. The Little Gentleman theme is the masculine tea party counterpart where argyle and tweed or top hats and chocolate cigars are paired with moustache everything. Vintage Toys: Couple the softness of well-loved toys (dolls, Teddy bears, and toy wagons) with newsprint flowers, chalkboard accents and classic childhood books. 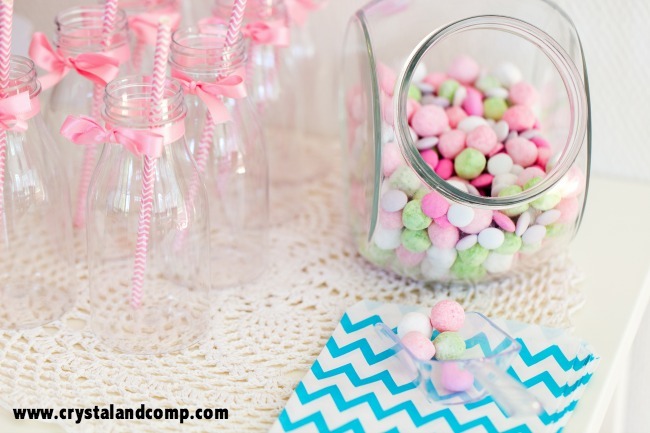 Confetti/Ready to Pop: Paper circle garlands, confetti table scatter, polka-dotted straws, cake pops, confetti balloons with polka-dotted tassels, colored round candies carry this idea. Romantic Lullaby: Mix burlap and lace; use glittery stars, twinkle lights and a moon with soft moonlight colors. Musical accents, paper lanterns and a ribbon garland work well. Nautical: This party is often done in classic red, white and blue but sky blue and sunshine yellow also look great. Many icons speak of the water: anchors, ships, captain’s wheel, telescope, fish nets, buoys are a few. Brown sugar stands in for edible “sand”. A message corked in a bottle is perfect décor for a “best wishes for baby” station. Bun in the Oven: Go retro/vintage with a step-back visit to (grand)mom’s kitchen. Gingham checks, 50’s dishes, frilly aprons, and miniature favor box ovens for cupcakes establish a relaxed atmosphere. Woodland Glam: Especially effective for a couples shower, black and white with green accents carries this idea with birch bark, moss, paper mache taxidermy, and real deer shed. Use gold accents and white faux fur. Decorations are a step outside of the everyday that create a moment-in-time atmosphere for celebration. Go ahead: build a party! 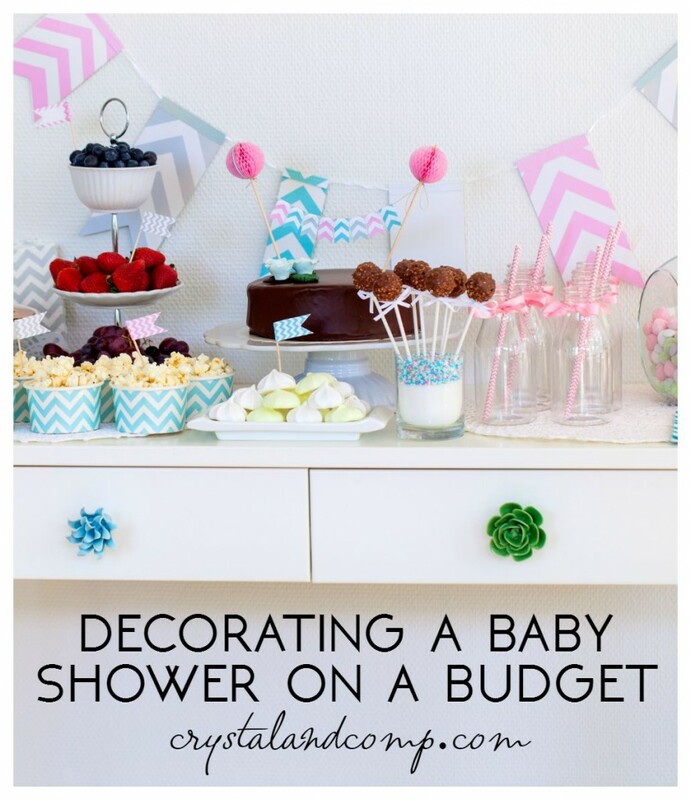 What theme are you decorating a baby shower for? These are some great tips! Thanks for sharing @DearCreatives party! Hope to see you again soon. I’m doing a princess theme! Its this Saturday! I’m all over the place with decorations!